Edgar Chahine was born to Armenian parents in 1874, and spent his youth in Constantinople. Before moving to Paris in 1895, he visited Venice where he studied under Paoletti and at the Academia di Belle Arti. 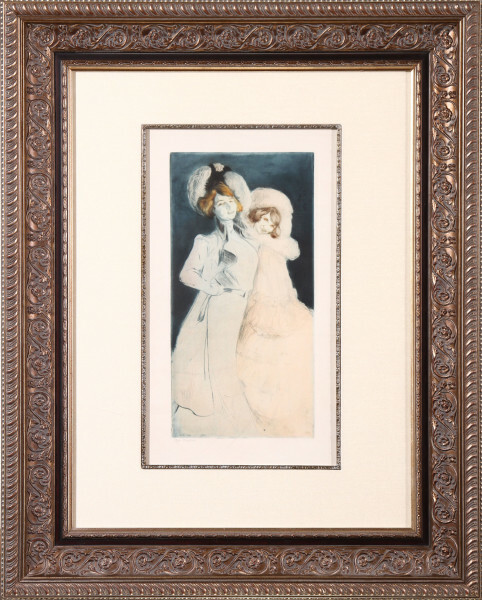 In the late 1890’s he began making intaglio prints, frequently mixing media in order to achieve the desired effects. The support of Edmond Sagot and Eugene Delâtre encouraged Chahine to continue making prints, all of which were characterized by a precise use of line. He approached his subjects with an honest, selective eye, and was neither patronizing nor sentimental in his interpretation of life around him. Through his objective portrayal of the petite bourgeois, Chahine gave to us a portrait of an era. Chahine truly loved printmaking. He worked in etching, drypoint and aquatint and combined all these media. One of the popular aspects of his work centers on elegant ladies, the “femmes” of the Fin de Siècle—They are society women, performers, café habitues, “femmes fatales,” shopkeepers. 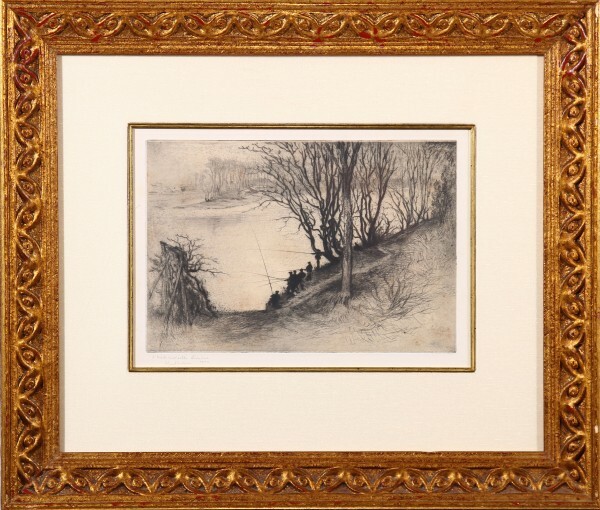 Chahine is known also for his delicate landscapes and seascapes which remind us of Whistler. In the book Impressions d’Italie, published in 1906, Chahine turned his attention to the streets and inhabitants of Venice. 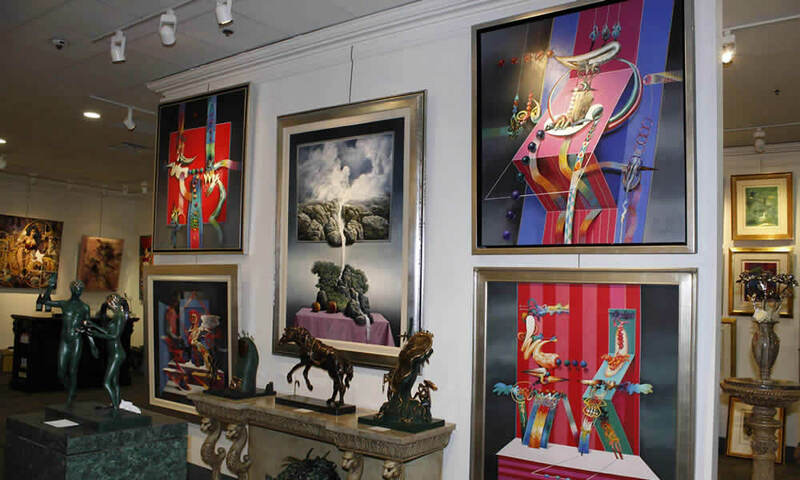 The series, which consisted of 50 prints, includes some of Chahine’s best work. A fire in Chahine’s studio, and a flood in 1942, accounts for the rarity of this artist’s work.